Water kefir is a delicious and easy-to-make probiotic drink that you can make yourself at home. I find this to be a very inexpensive way to culture your own probiotics. Just make them yourself from a live culture – like water kefir – and use the living culture to repeat the process over and over. 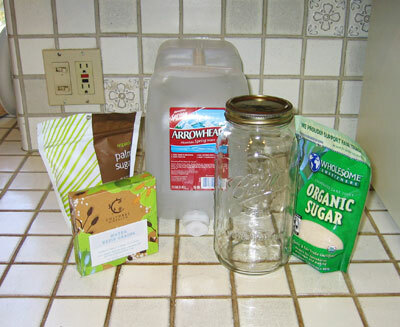 Ingredients you will need to make your own water kefir: dehydrated kefir grains, palm sugar, spring water, 2 qt mason jar and organic cane sugar. Most of the websites that show how to make water kefir either sell the hydrated, living kefir grains from their websites or advise that you obtain the kefir grains from someone else who has a growing culture and can spare some kefir grains that have multiplied. In this article, I will show you a different way. You can buy your own dehydrated water kefir grains on the Internet and then rehydrate them yourself. Rehydrating kefir grains will take just a few days and, following that, you can make regular, running batches of water kefir from them. This is essentially the same recipe as a previous post for one loaf of whole grain whole wheat bread except that the amounts of the ingredients have been adjusted for two loaves instead of one. There is another difference in that the recipe for one loaf is for a 9 x 5 inch loaf pan and this recipe uses two 8 1/2 x 4 1/2 inch pans. The pans are slightly smaller so the recipe is not double the amounts of the recipe for one loaf. This recipe has been adjusted to be in proportion to the smaller pans. You might prefer baking two loaves at a time instead of one loaf because it takes just about the same amount of time and effort as it does for one loaf and baking two loaves doesn’t require any additional yeast. You use the same amount of yeast for two loaves as you do for one loaf. In December, 2010 Dr. Mehmet Oz did a segment on the Dr. Oz Show about genetically modified foods. 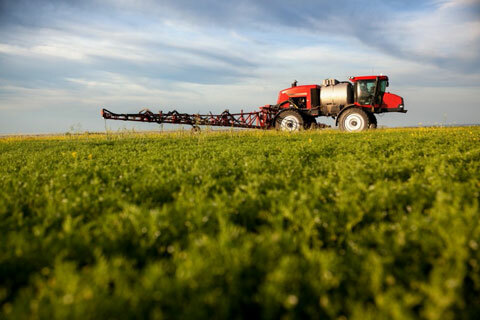 The subject of GMO foods or “Genetically Modified Organisms” is an important topic for the everyday person to understand because GMO ingredients are used in most processed foods.